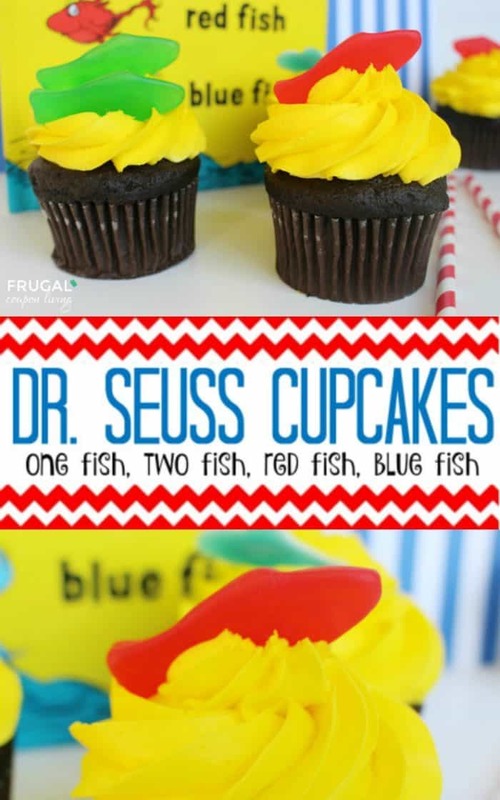 Dr. Seuss Cupcakes – One Fish, Two Fish Theme Party for Dr. Seuss Day on March 2 or a Dr. Seuss Birthday Party. 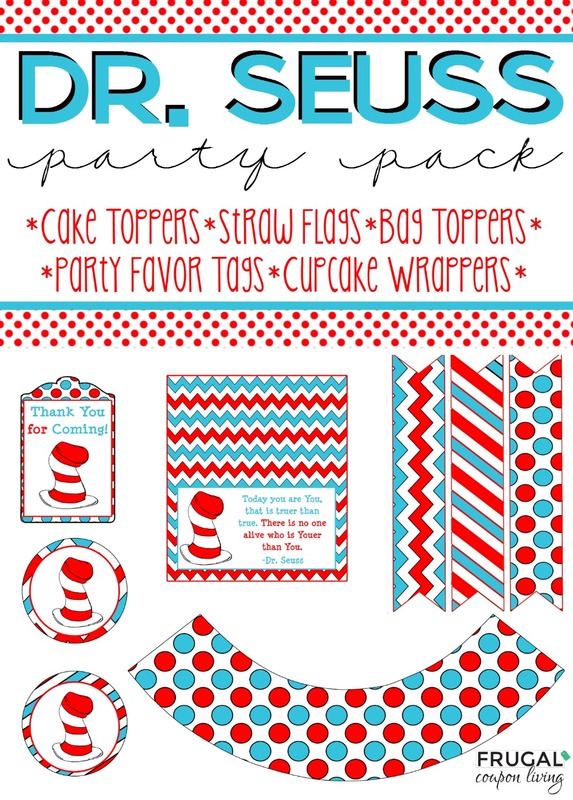 Hosting a Dr. Seuss Party? Ready for Dr. Seuss Day on March 2nd. 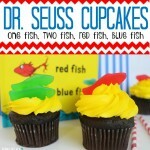 Whatever the special occasion, we all love the classic book One Fish Two Fish Red Fish Blue Fish. When we’re celebrating one of our favorite Authors the way to do it up right is by adding vibrant colors and whimsical characters anywhere we can! 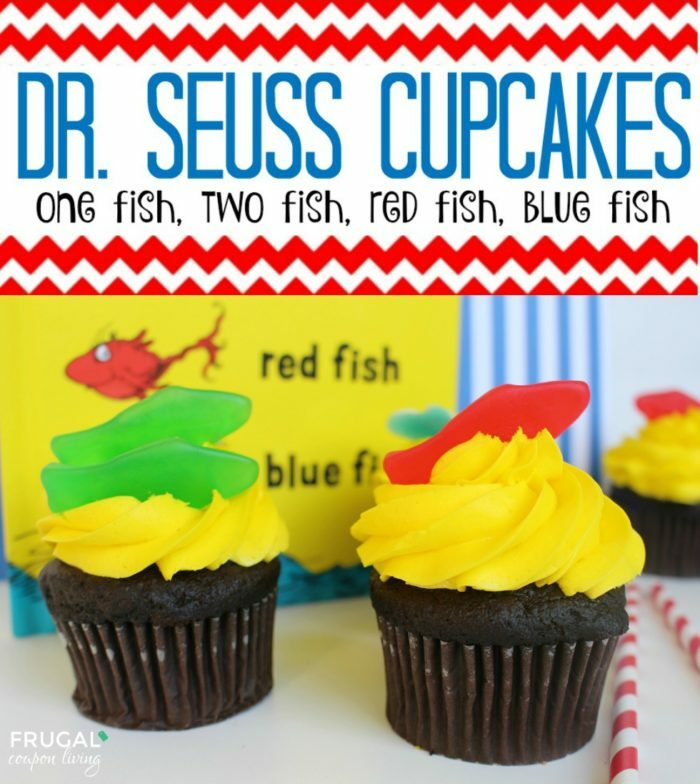 Don’t just serve an ordinary cupcake, make these delicious cakes topped with little fish atop fun frosting that is sure to mark your special day! 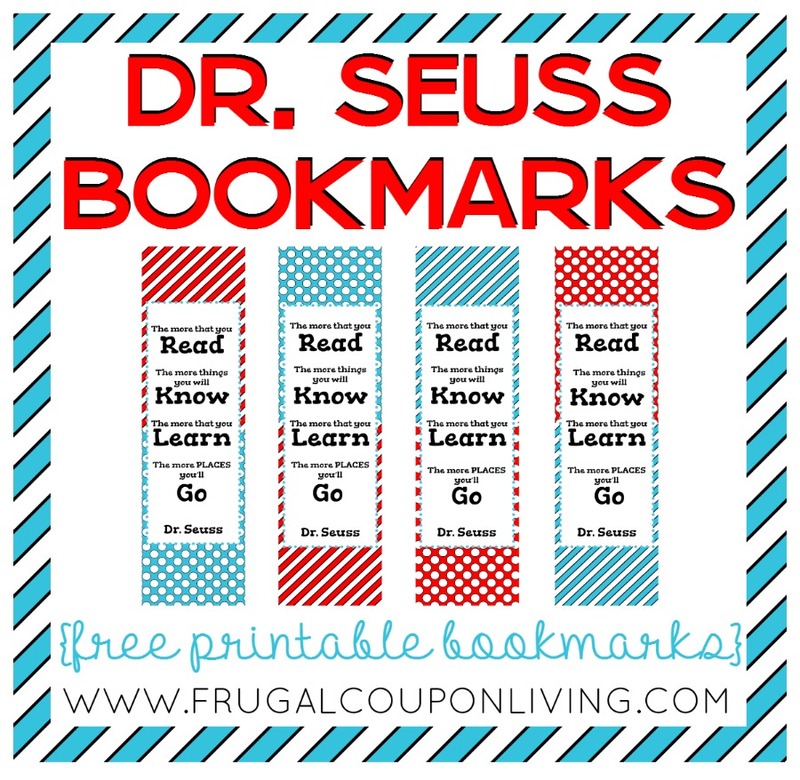 We’ve taken the guesswork out of hosting a Dr. Seuss soiree with several recipes and printables, scroll to the bottom to see all of the fun goodies you can make! 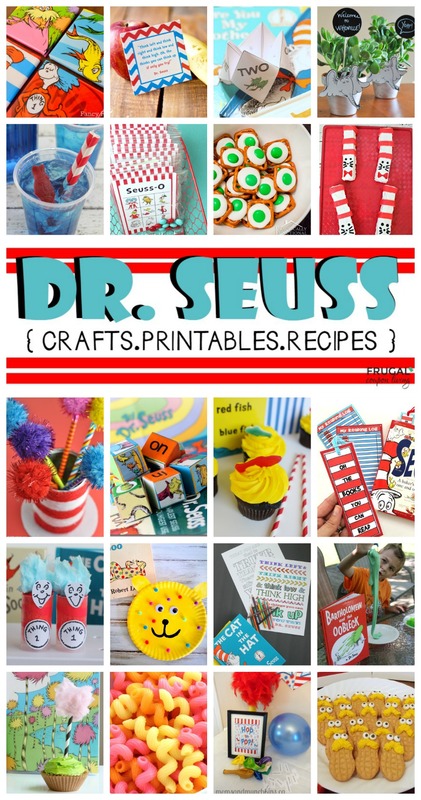 Also check out our Dr Seuss Day Recipes, Printables and Crafts. Grease cupcake pans or line with cupcake liners. Add the eggs to the butter, one at a time, beating well with each addition. Add the rest of the flour and milk and beat until well-incorporated. Let cupcakes cool in pan for 5 minutes. Add half of the sugar and mix well on medium speed with a mixer. Add the rest of the sugar and mix on medium speed until light and fluffy. If needed – to thin icing, add 1 tablespoon milk and to thicken icing, add 1 tablespoon powdered sugar. Using a decorating tip and disposable bag or Ziploc bag, pipe the frosting onto each cupcake. 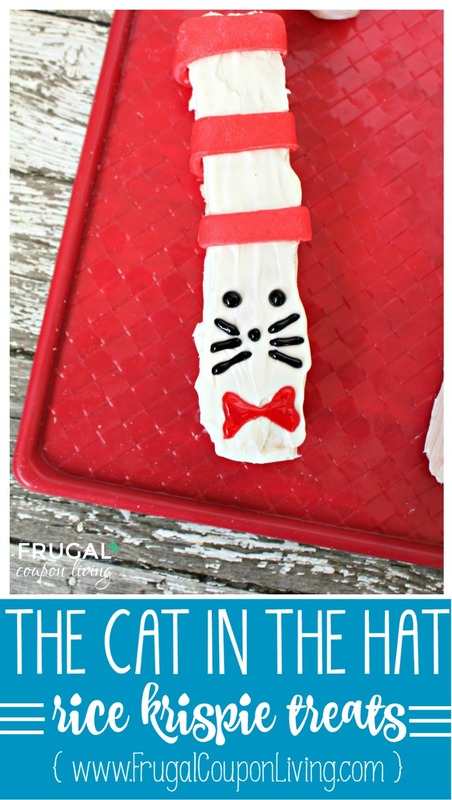 Don’t forget our Cat in the Hat Rice Krispie Treats – Pin to Pinterest.